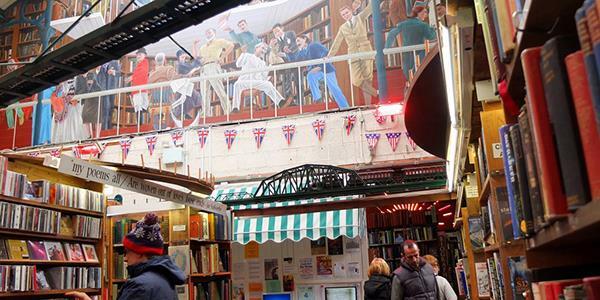 For a secret haven on a rainy day why not try Barter Books? 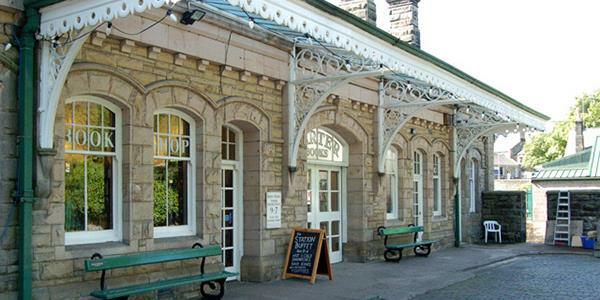 This quaint bookshop in Alnwick is just 30 minutes from Lucker Hall and provides a warm welcome for a cosy afternoon. Located in a building that was once the Alnwick railway station, Barter Books is a really unusual space and provides plenty of atmosphere. The station was originally designed and opened during the 1800s and remained in use until 1968. Barter Books was opened in the early '90s by Mary and Stuart Manley. Their idea was to set up a secondhand bookshop that worked on a barter system: the books are exchanged for credit to use against other books in the shop, though normal cash purchases are also available, in case you prefer! This atmospheric place has become one of the largest second-hand bookshops in Europe. There are open fires in the winter, comfy seats and homely touches throughout. Some of the Victorian architecture has been restored beautifully, meaning certain station features like the large windows and high ceilings are once again a focal point. Shelves and shelves of books fill the generous spaces and different sections include a children's room and an antiquarian room with glass cases filled with interesting old books. It was actually in Barter Books that the now famous 1939 'Keep Calm and Cary On' poster was rediscovered in 2000, from where it had been left from the war years. The simple design has now exploded onto all kinds of merchandise that is sold all over the country! Outside, the station benches and clock can still be seen, while inside a little miniature railway winds its way around the top of the book cases. There is a gift shop and a station buffet where you can buy a range of food and drink. Barter Books is located in the heart of Alnwick along the B6346. From Lucker Hall you will travel straight down the A1. To find out more you can take a look at their website here. Discover how to stay at Lucker Hall by entering your details at the bottom of the page.